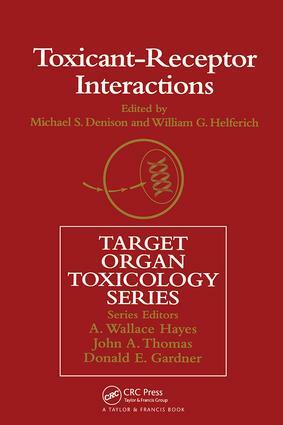 Many of the toxic effects elicited by xenobiotics can be explained at the molecular level by their interaction with receptors or by disruption or interference with receptor-mediated signal transduction pathways. This volume describes molecular approaches and reviews of current research. It provides reviews of numerous research areas which are directly related to the analysis of the molecular mechanism by which xenobiotics modulate signal transduction and gene expression. Part I: Xenobiotics and Soluble Receptors 1. The Ah Receptor Signal Transaction Pathway Michael Denison, Dorothy Phelan and Cornelius Elferink 2. The Peroxisome Proliferator-Activated Receptor: An Orphan Receptor in Xenobiotica Response Martin Gottlicher 3. Effects of Xenobiotics on Hormone Receptors Debie Hoivik, Stephen Safe, Kevin Gaido 4. Interactions Between Environmental Xenobiotics and Estrogen Receptor-Mediated Responses Daniel Villneuve, Alan Blankenship and John Giesy Part II: Xenobiotics and Transcription Factors 5. Barbiturate-Inducible Gene Expression Armand Fulco 6. Antioxidant-Inducible Detoxifying Enzyme Gene Expression Anil Jaiswal 7. Mechanism of Heavy Metal-Inducible Gene Transcription Fuminori Otsuka and Shinji Koizumi Part III: Xenobiotics and Second Messenger Systems 8. Modulation of Protein Kinases by Xenobiotics Burra Madhukar 9. Cellular Calcium Regulation and Signaling Isaac Pessah and Patty Wong Part IV: Analysis of Xenobiotic-Inducible Responses 10. Approaches for the Identification of Xenobiotic-Inducible Genes ^John Vanden Heuval Michael Denison, University of California, USA, Cornelius Elferink, Wayne State University, USA, Armand Fulco, UCLA, USA, Kevin Gaido, Chemical Industry Institute of Toxicology, USA, John Giesy, Michigan State University, USA, Martin Gottlicher, Forschungszentrum Karlsruhe, Germany, Debie Hoivik, Texas A&M University, USA, Anil Jaiswal, Baylor College of Medicine, USA, Shinji Koizumi, National Institute of Industrial Health, Japan, Burra Madhukar, Michigan State University, USA, Fuminori Otsuka, Yeikyo University, Japan, Isaac Pessah, University of California, USA, Dorothy Phelan, University of California, USA, Stephen Safe, Texas A&M University, USA, ^John Vanden Heuval, Pennsylvania State University, USA, Daniel Villneuve, Michigan State University, USA, Patty Wong, University of California, USA.